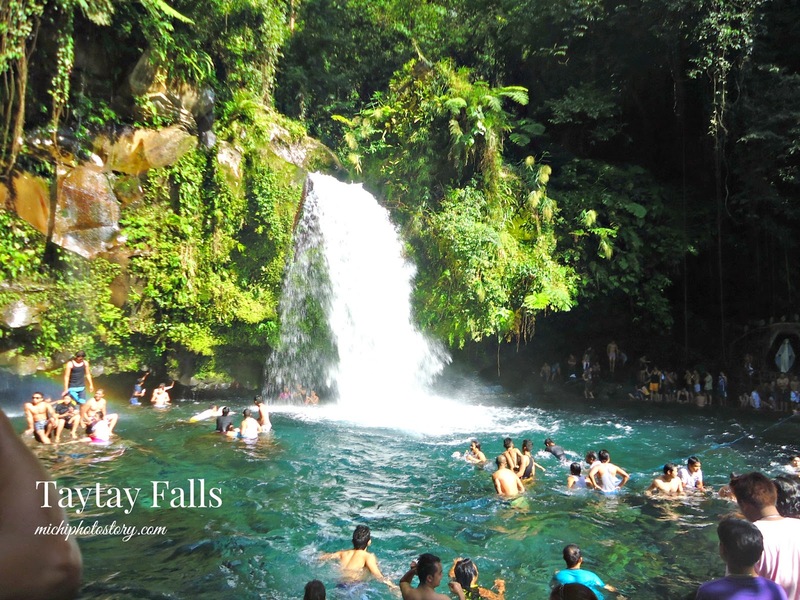 Cebu is not only known for famous tourist spots and Sinulog Festival but it is also popular because of lechon. 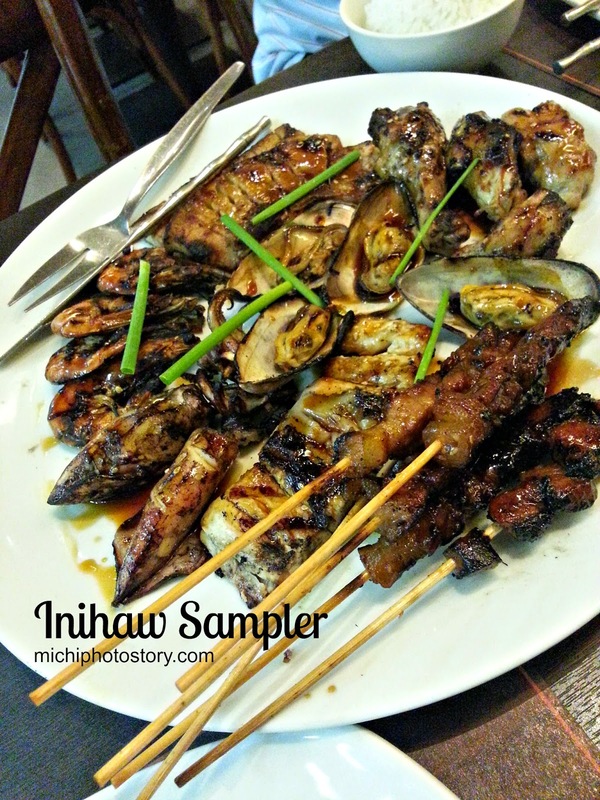 Lechon is skewered whole pig roasted over charcoal. 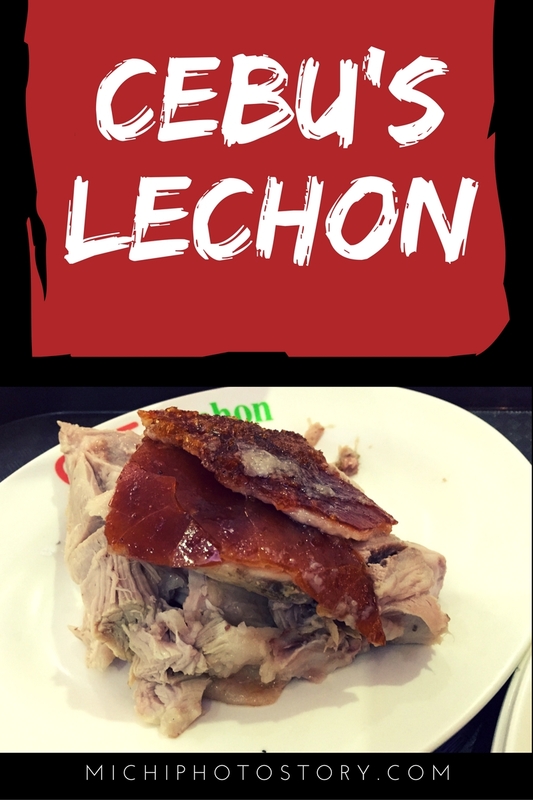 Do you know that Cebu is even considered as “Lechon Capital of the World” so if you are going to visit Cebu, don’t ever leave without trying this dish. 1. 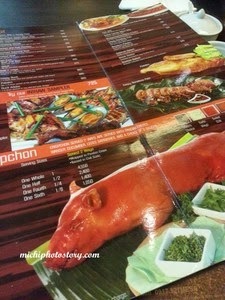 Cebu’s Ayer Lechon - it offers both classic and spicy lechon but so far I’ve only tried the classic one. They have a branch in Mactan International Airport so you can still buy this for pasalubong. 2. 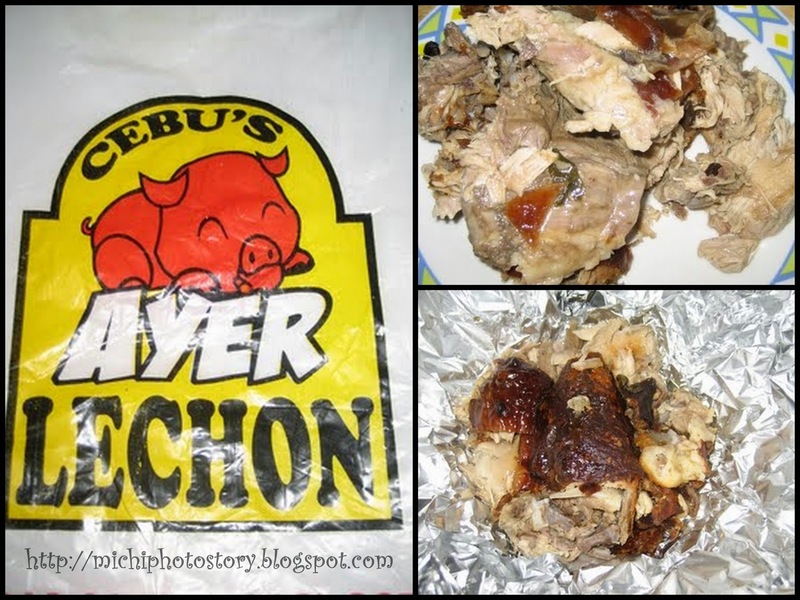 CnT Lechon - when you are in Cebu, CnT Lechon is the most recommended lechon maybe because it is considered as the crunchiest of Cebu’s lechon and it has several branches all over Cebu. 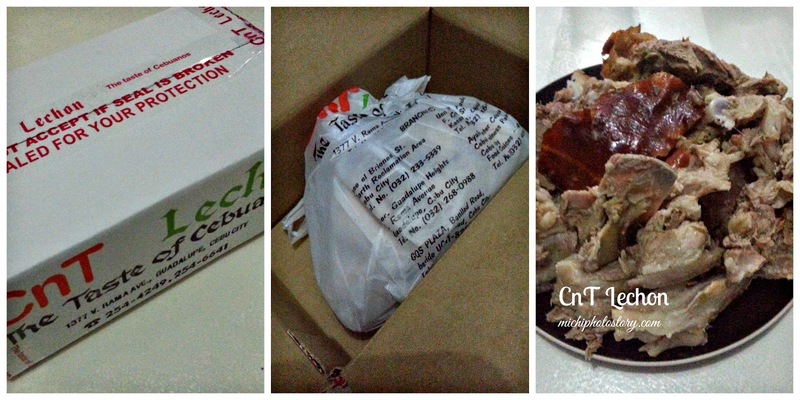 We ate at CnT Lechon when we’re in Cebu and most of the time this is my husband’s pasalubong. 3. 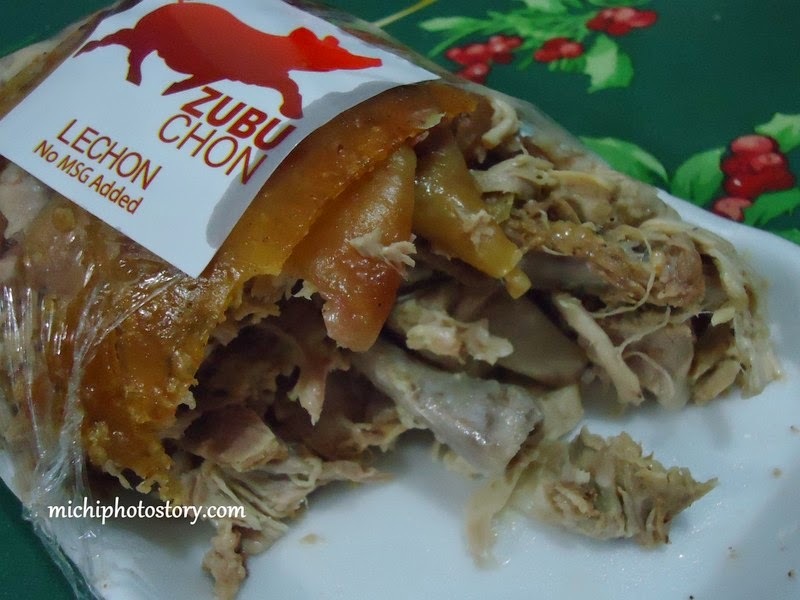 Zubuchon - this is the third lechon that I’ve tried and Cebu became more famous because Anthony Bourdain’s declared that it is “Best pig ever!”. This is also my breakfast later because my husband just came back from Cebu business trip. 4. 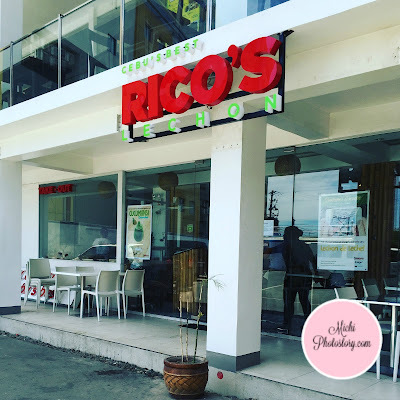 Cebu's Best Rico's Lechon - I've been meaning to try Rico's Lechon because of the good review of Kris Aquino when I watched it in one of the Kris TV episodes. 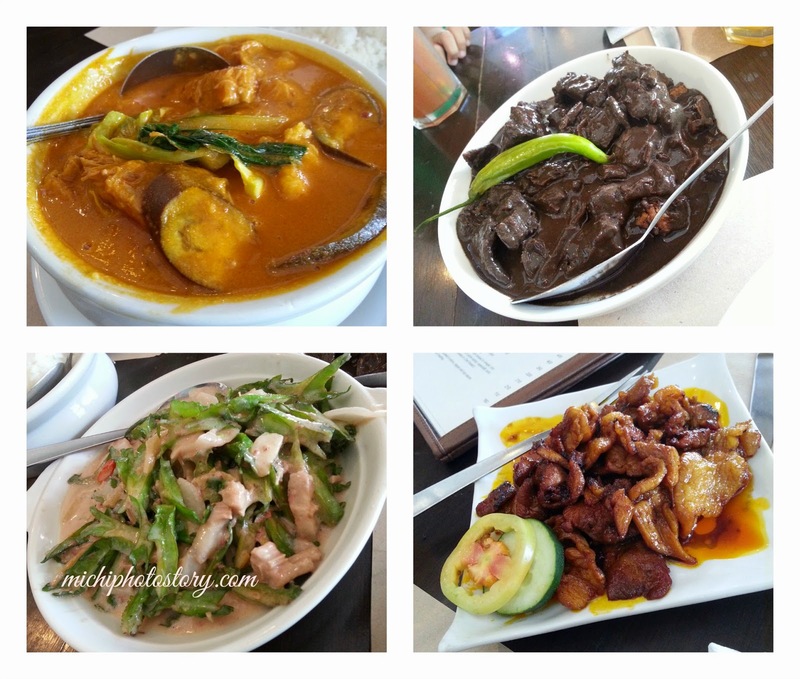 So finally, I visited Cebu last April 2016 and I included it my food trip. But the Lechon did not meet my expectation. I cannot say which lechon is better because for me, they are all yummy. But I want to try more brands of lechon in Cebu. Care to share your favorite lechon in Cebu. 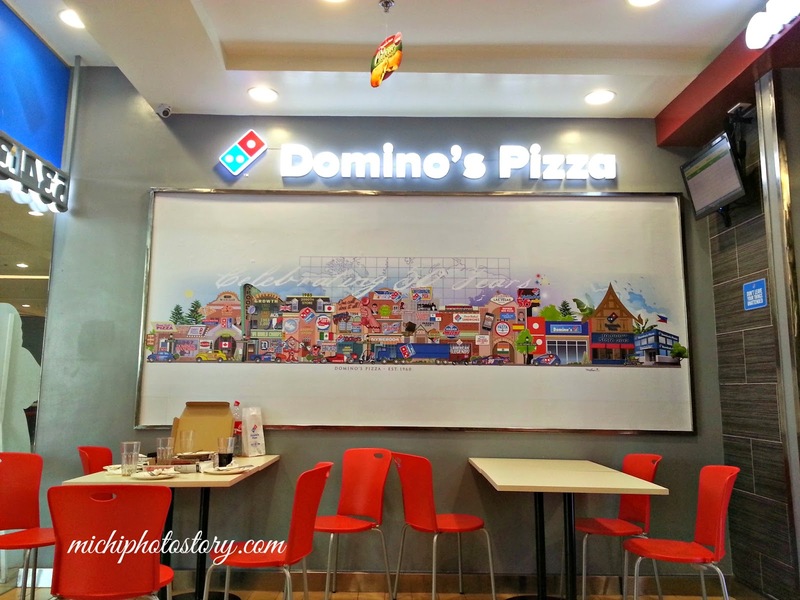 Domino’s Pizza is an American food chain which started in Ypsilanti Michigan, USA in the year 1960. The first branch in the Philippines was opened in the year 2011 and I had my first taste of Domino’s pizza when I started working in Makati several years ago. This is one of my favorite snacks in the office, I usually buy one slice at their kiosk in Robinson’s Summit. It’s been years since the last time I had a taste of their pizza so when we saw the that there is Domino’s Pizza at SM Sta Rosa, we did not hesitate to try it again. The restaurant is just small and there were only six tables. 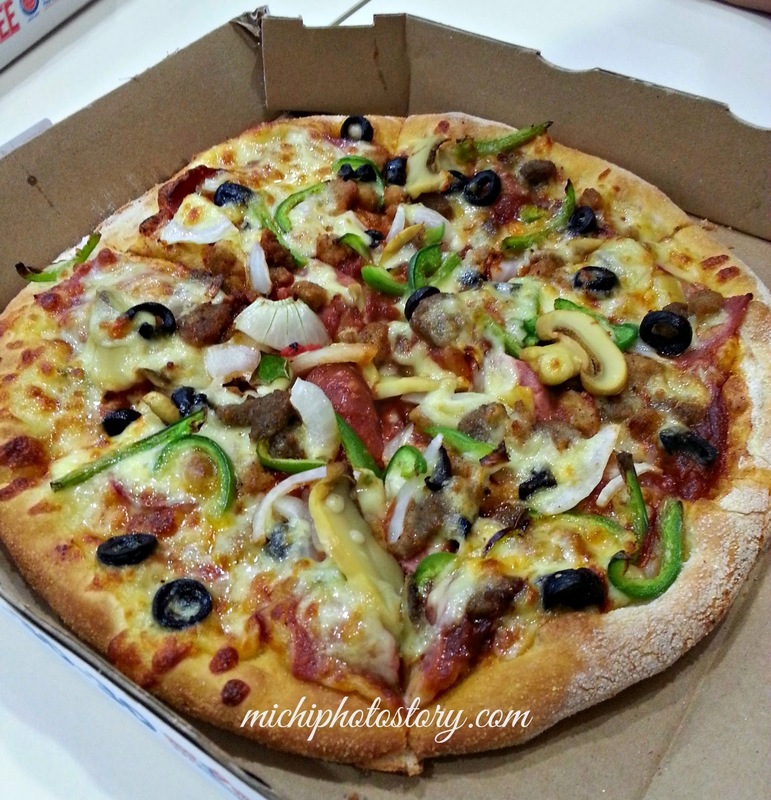 We ordered the Two Pizza Deal for P399 only (Medium). For the first pizza, you can choose any flavor you want but for the second pizza, you can choose from Cheese Mania, Pepperoni Feast, Hawaiian and Kalamata Tomato Pizza. We chose Extravaganzza Pizza (classic hand tossed) and Pepperoni Feast (thin crust). 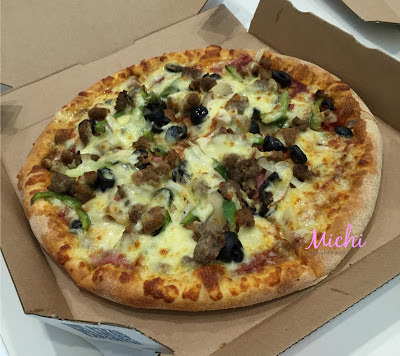 Between the two flavors, we prefer the Extravaganzza pizza but I would definitely try other flavors. Shopping for the holiday is not easy because of the crowd, it seems that half of the population of the world is inside the mall. In addition, looking for a restaurant that has an available seat/table is very difficult, good thing that my family can eat pizza for lunch. 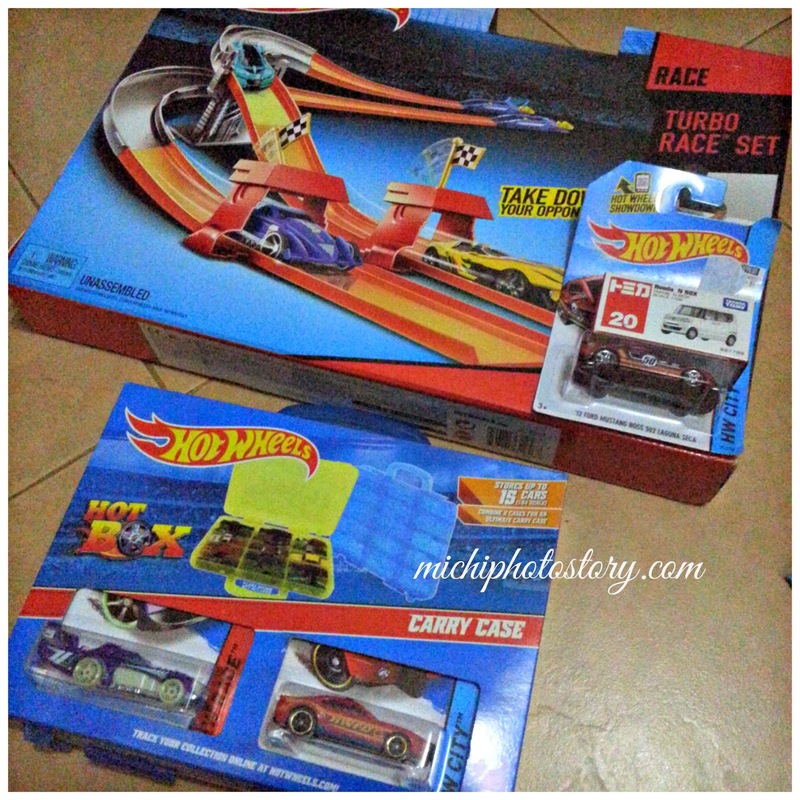 We were in SM Sta Rosa last month for our last minute gift shopping and we had a hard time finding an available table so I told my husband, dun tayo sa dulo baka wala tao. 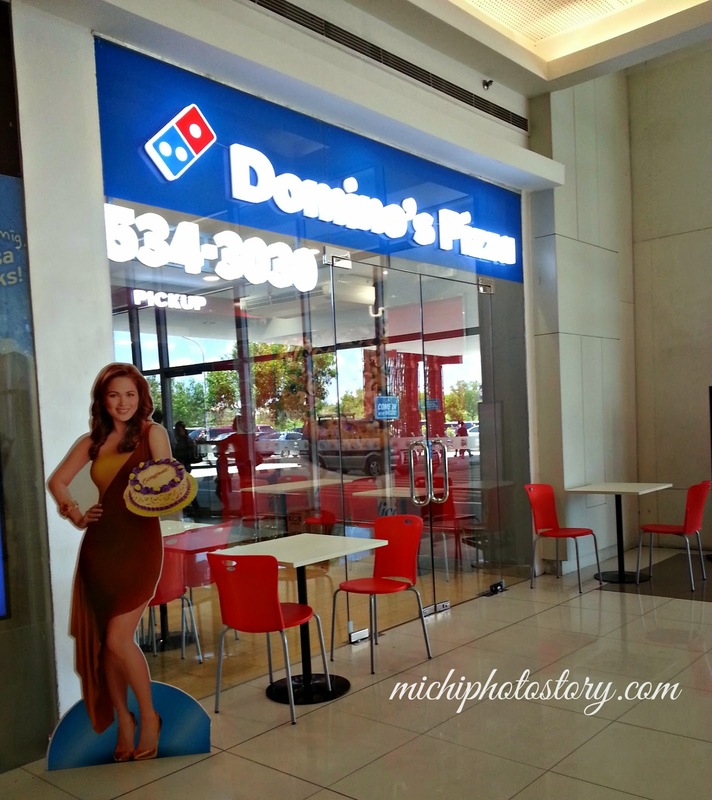 Voila, may table sa Domino’s Pizza. Filipinos love to eat rice sa lunch kasi but if you are really hungry, kahit ano pwede na. 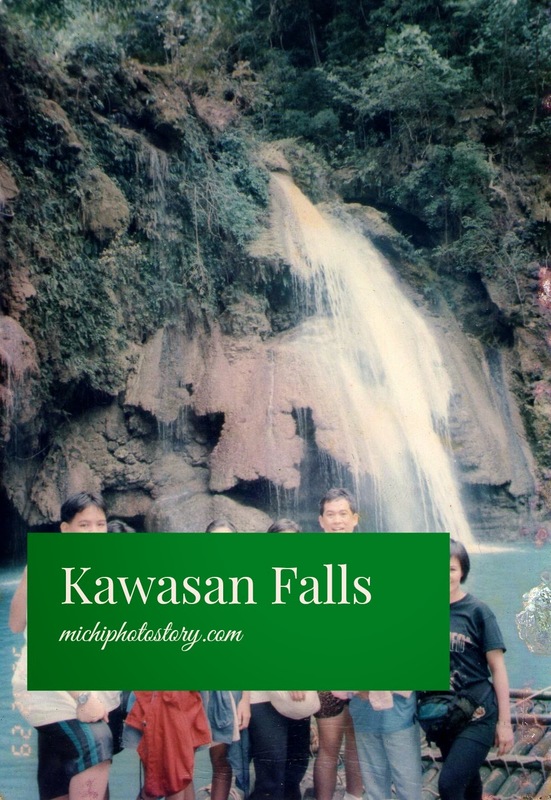 Kaloka noh, holiday pa rin ang story ko. #backlog. As usual, my son ordered Pepperoni Feast, I can’t remember the flavor that I ordered but checking my receipt, it is Extravaganzza. My son loves Domino’s Pizza because he can watch the staff while preparing the pizza. They also have a small screen where you can see the waiting time for your order. 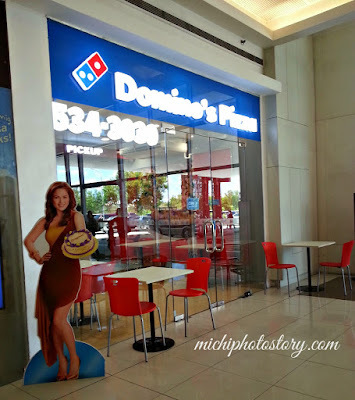 The Domino’s 2 Pizza Deal is only P399. Last month, my husband and I went to SM Sta Rosa, we were checking the price of Surgical Tooth Extraction in different Dental Clinic pero mahal din pala so I guess P9000 - 12000 talaga ang normal price. 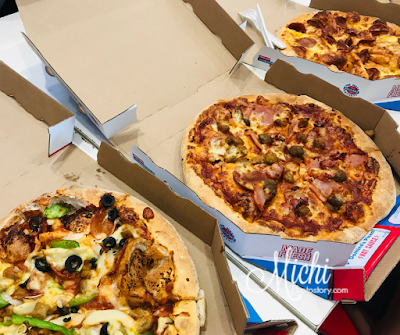 Anyway, we had lunch at Goldilocks and we ordered pizza at Domino’s. 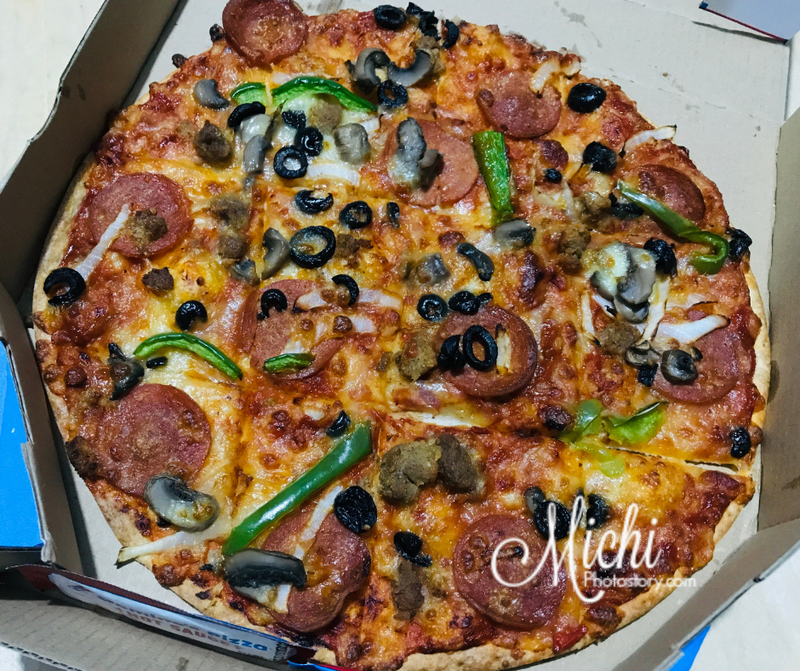 It was Tuesday so they have Buy 1 Take 1 Deal pizza for P399 (Medium size) so we got Dominos’ Deluxe and Pepperoni (Thin Crust). Merienda time came, I ate one slice of Domino’s Deluxe and my husband finished the rest. I was thinking that my son won’t finish the Pepperoni so makikishare na lang ko ulit pagkagaling niya sa school but I was wrong. We were shocked when my son finished one box of Pepperoni. Waah! Then before March ends, I went to my doctor for a check-up and we went to SM Sta Rosa again for lunch. 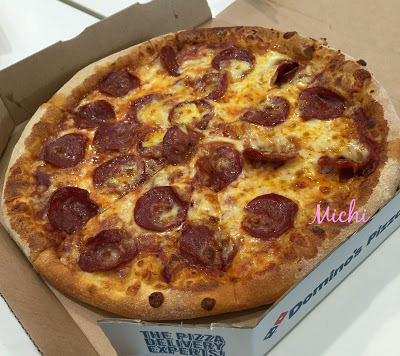 We ate at Domino’s Pizza again. We asked if they have Buy 1 Take 1 Pizza Promo and we were informed na Tuesday and Thursday lang daw yung promo. 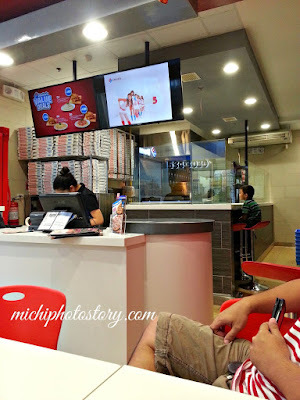 So we ordered the Ocho EatzzAmazing Deal, we got three medium pizzas and 1.5L Coke for P699. We chose Domino’s Deluxe, Meatzza, and Pepperoni. 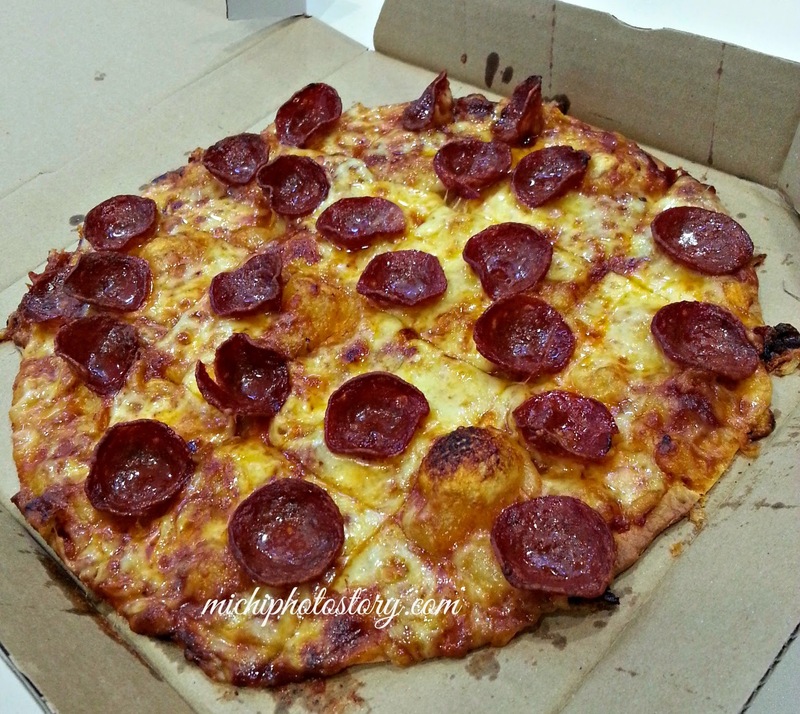 We chose thick crust pizza and this time my son was not able to finish one box of pepperoni, hahaha! Nabusog agad dahil thick crust. We took home our leftover. Care to share your favorite pizza restaurant? 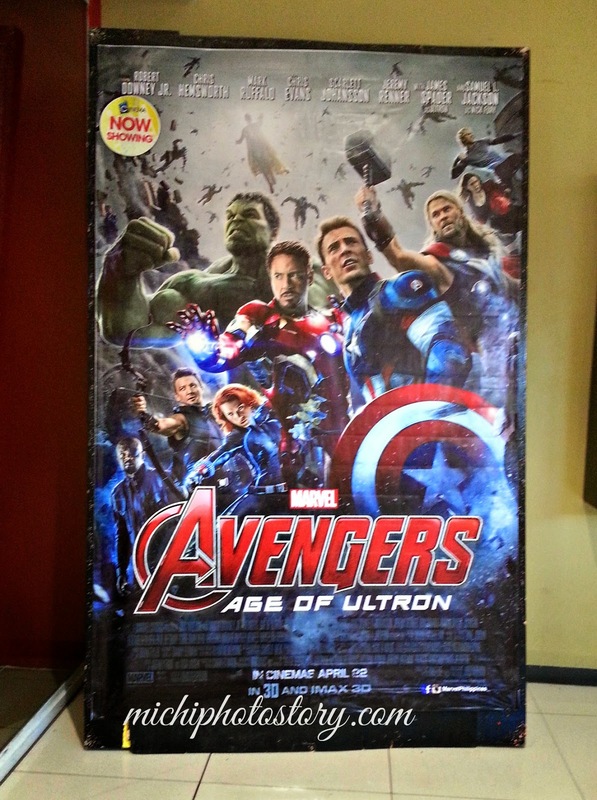 My husband’s company had a special screening of “Avengers Age of Ultron” at SM Aura last Friday. 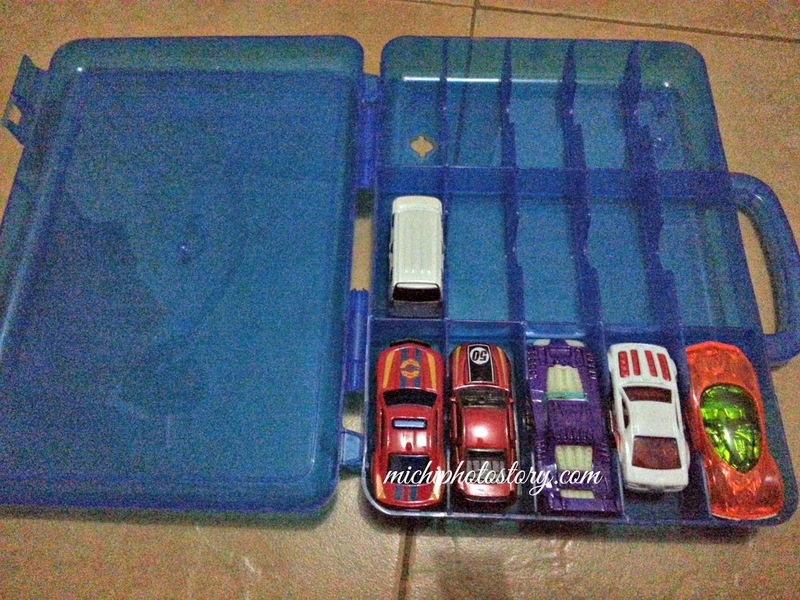 My son was so excited to watch the movie because he is a fan of Avengers. But last Friday, I wasn’t feeling well blame it to abdominal pain so I was convincing my son that we will watch Avengers on Saturday. Ethan: No, you said we will watch Friday not Saturday. It is really difficult if you promised to him because you have to fulfill it. #trustissue So my husband just gave our free tickets to his officemates and went home after his office. 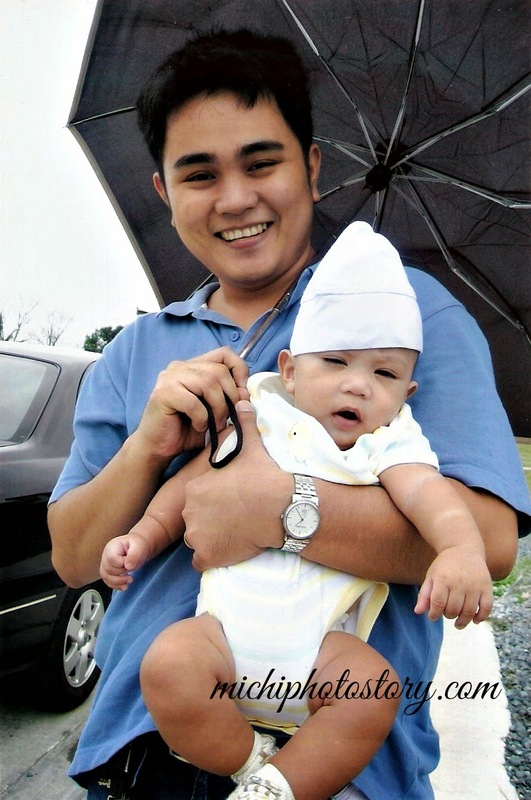 He picked up my son and they watched the movie without me, huhuhu! Good thing they were able to watch the 7PM movie at SM Sta Rosa, because next schedule is 8PM and 8:30PM. #buzzerbeater Nagtiyaga ang mag-ama sa front seats and popcorn na dinner maumpisahan lang ang Avengers. I was asking my son about the movie pero ayaw magkwento, lol. Ok fine, hintayin ko na lang sa TV. Hehehe! 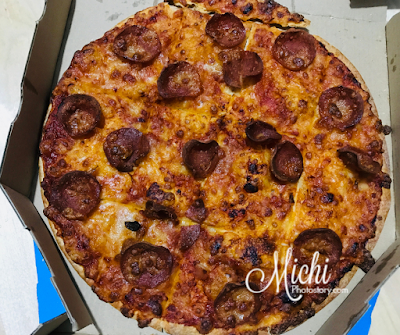 It is no secret here that our family loves Contis, we always buy cakes and pastries and it is our go-to restaurant in Nuvali. The restaurant started in 1997 in Paranaque but it was only in the year 2007 when I first dined in their restaurant in Serendra. 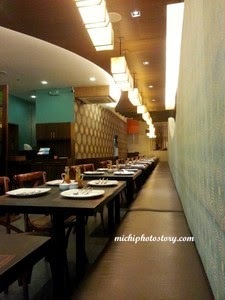 Serendra is so far from my place so I was glad when Contis opened another branch in Nuvali. Since then, we are frequent diner and buyer of Contis. 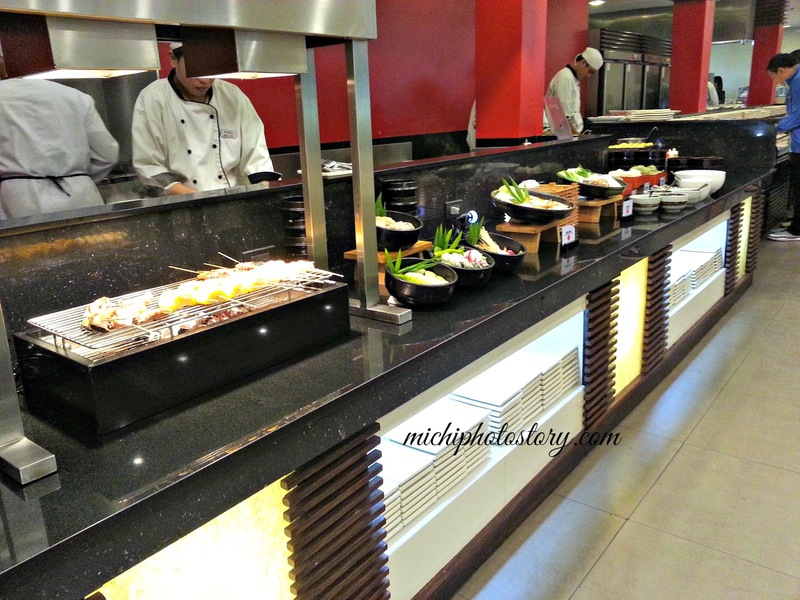 Last April 9, we tried their branch in Alabang Westgate. Every time we eat in Contis, my order is always Lengua Estofado P340. Minsan lang ko nagpalit ng order and Lengua Pastel pa pinalit ko. Hehehe! Sometimes I buy Frozen Lengua Estofado too. But I have tried other dishes because of my husband’s order. Nakikitikim lang ako. 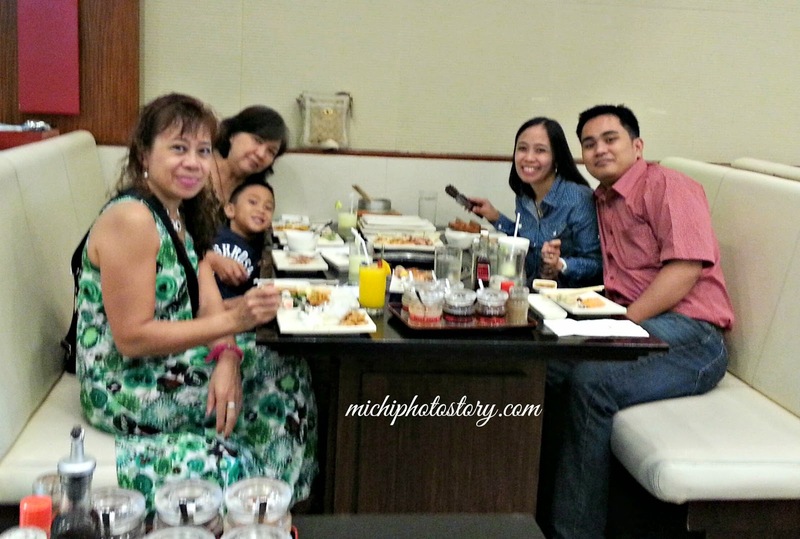 We know that Contis have big serving so we always order two meals only + extra rice for my son. 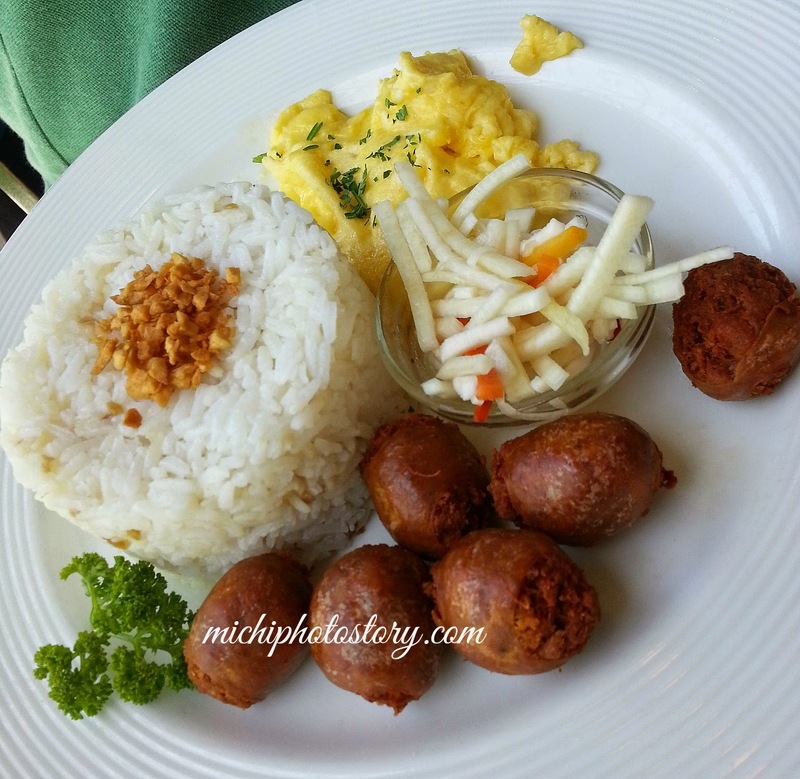 My husband tried the Mom’s Garlic Longganisa P195. The taste was just ok for me, it as a bit dry. 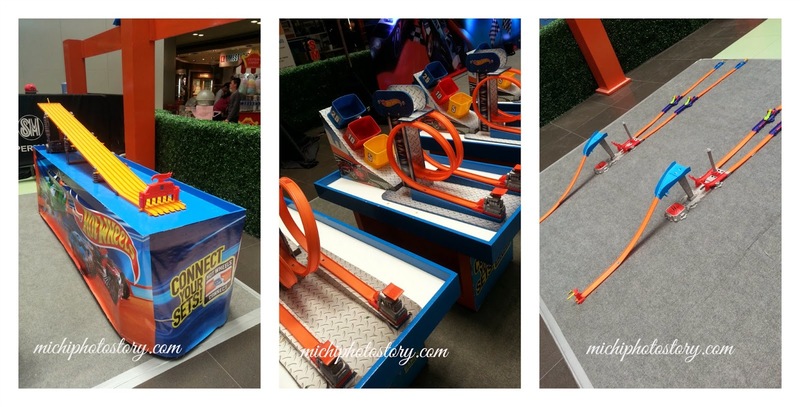 One thing I noticed in their branch is, they offer toys for toddlers so they will not get bored while waiting for the order. The service is good too, when we got off the car, nilapitan na kami ng guard para payungan on the way to the restaurant. As always, we’re satisfied with our meal and the only thing that change is the price. 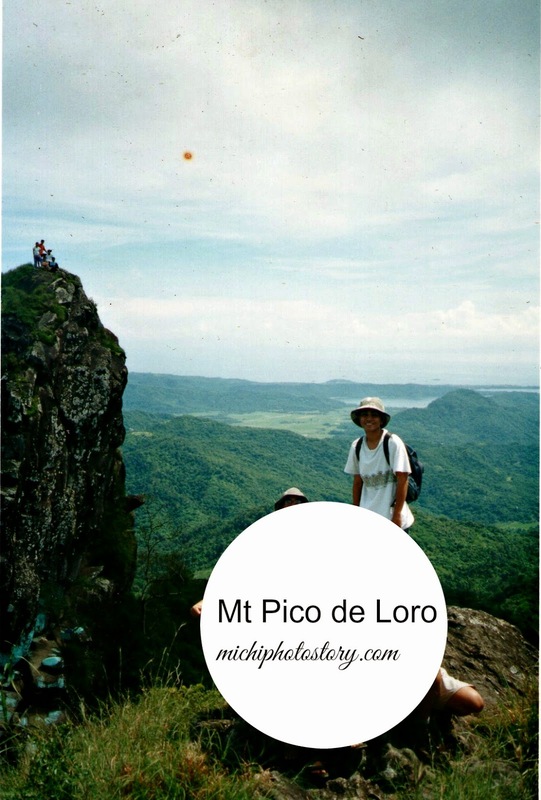 Way back 2007, la pa P200 ang Lengua Estofado. Hehehe! If we are in Paseo de Sta Rosa, Kanin Club is our go-to restaurant because I love their crispy dinuguan. 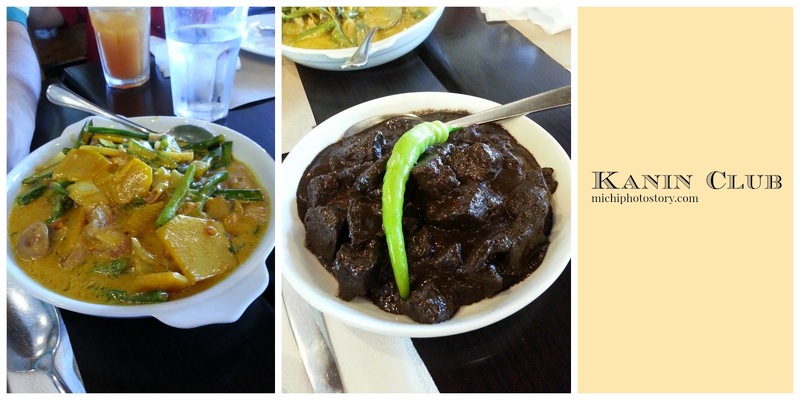 I ordered crispy dinuguan + ginataan na gulay when we went back last December 2013. 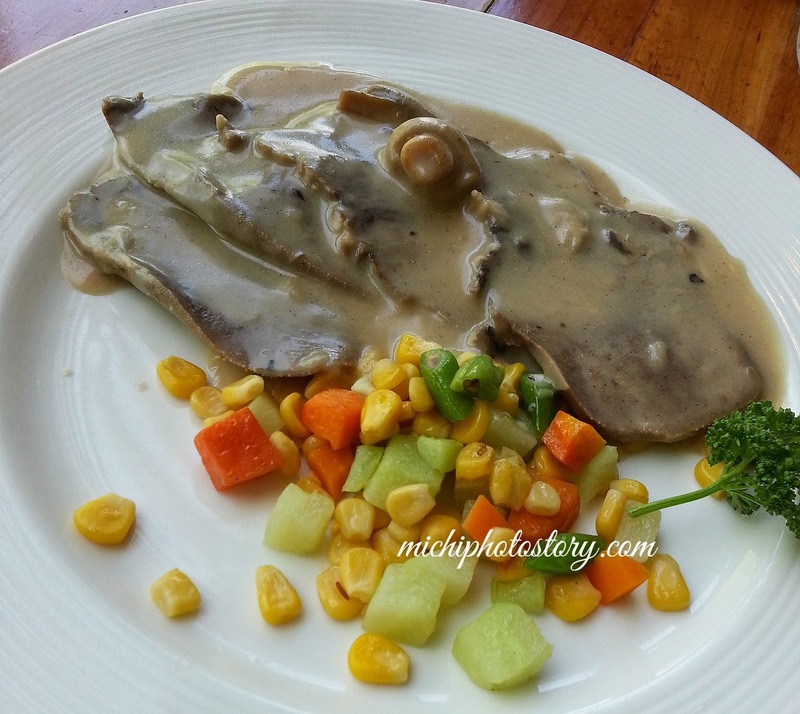 I did not like the ginataan gulay but my husband liked it. 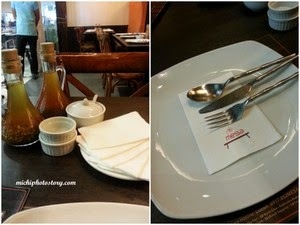 Last March, we ate at Kanin Club before going to Nurture Wellness Village. It was an early lunch so the place was not packed yet. As usual, we ordered Crispy Dinuguan P260, Sigarilyas Express P150, Kare-Kare P350 and Pork BBQ P110. 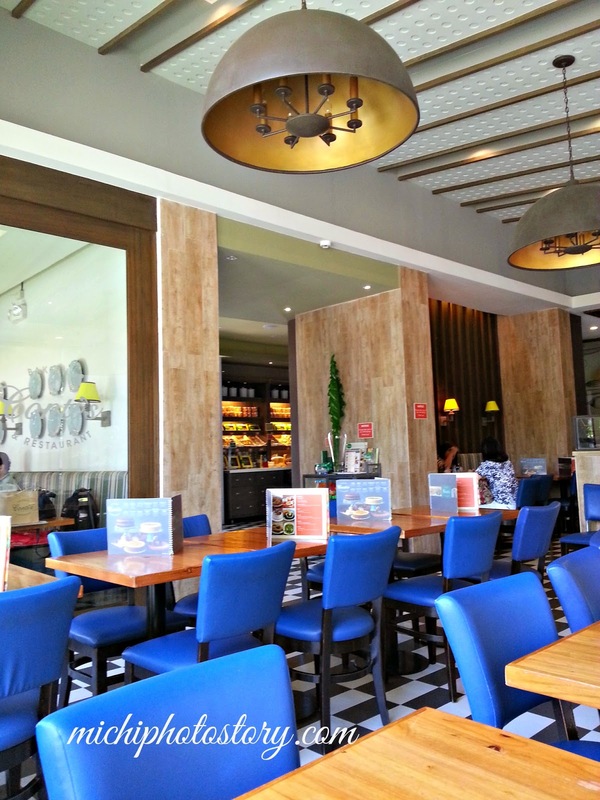 I love Kanin Club because the price is very reasonable and the serving is good for 2 to 3 persons. So we took home our leftover for dinner. Again, we’re very satisfied with our order. 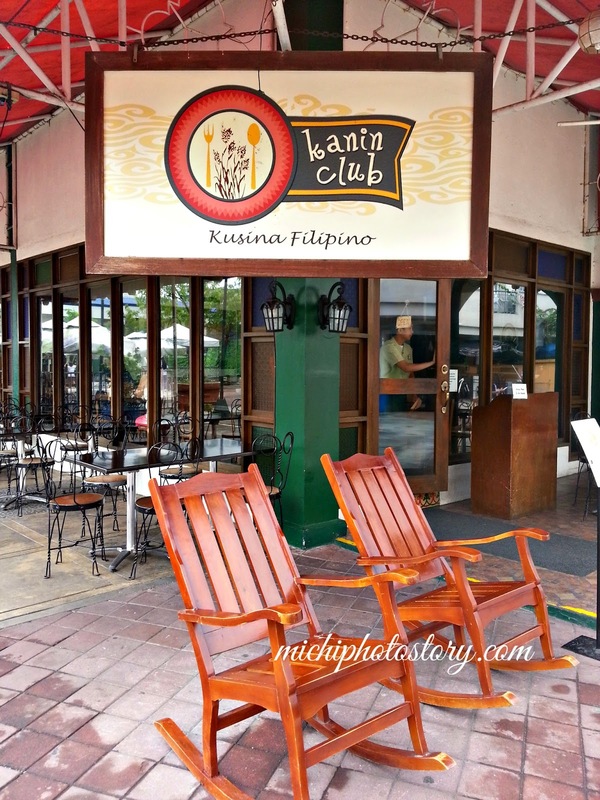 Have you tried Kanin Club? One of the disadvantages of living outside Metro Manila is “nahuhuli sa uso” because you can’t try the new restaurant or food because it is too far from your place and you can’t buy the product or avail the service because there’s no branch near you. 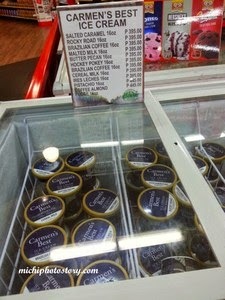 I feel that we’re the last persons who haven’t tried Carmen’s Best ice cream. Naunahan pa ko ni Pope Francis. 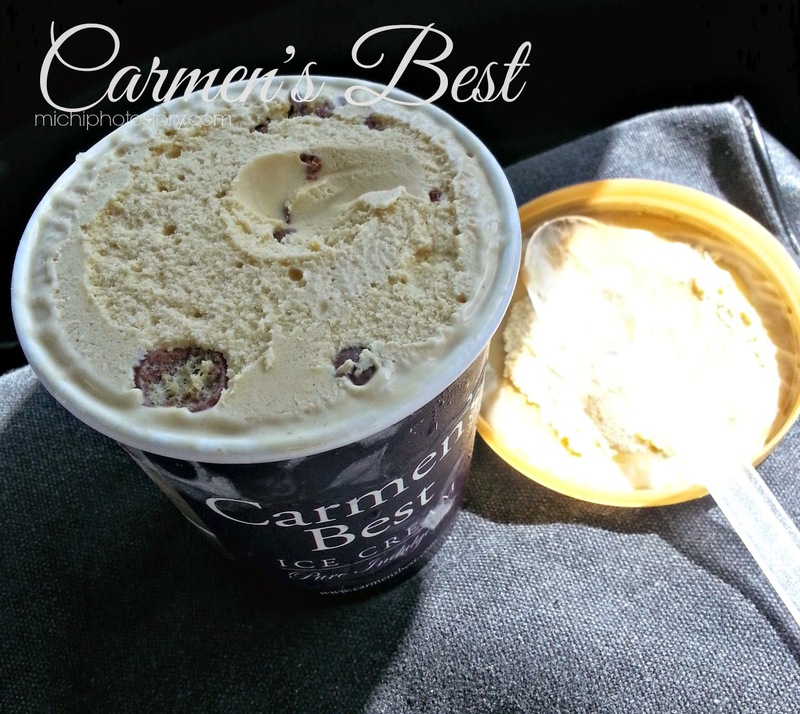 Carmen’s Best ice cream was served during his flight back to Rome. I always see this in Instagram since last year and I’ve been meaning to try it but it was only yesterday that I finally bought this at Puregold Molito. I was so happy when I saw the Carmen’s Best freezer. I was having hard time choosing but I chose the Malted Milk flavor which is one of the best seller. I also bought disposable spoon so we could eat the ice cream on our way way home. It is more or less 30 minutes travel time via SLEX so sayang naman pag nagmelt. Hehehe! Malted Milk flavor is made with Horlicks and Maltesers. I love Maltesers so I really enjoyed eating the ice cream. 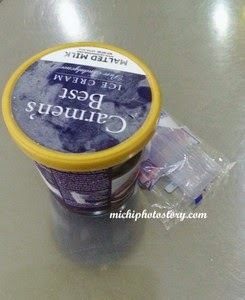 The ice cream is so creamy, smooth, dense and you know that they did not scrimp on the ingredients. It is quite steep for the budget but sometimes you have to indulge and treat yourself. I would definitely try other flavors of Carmen’s Best. So far there’s only one size of Carmen’s Best because according to their website. 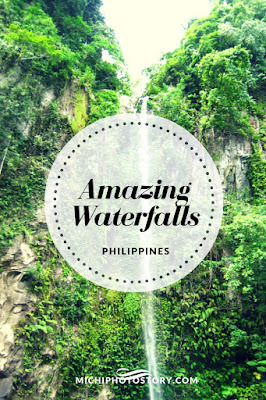 It is home made, handcrafted in the old-fashioned way and done in small quantities. Carmen’s Best uses only 100% fresh cow’s milk and cream that’s delivered daily, at dawn, from the family’s dairy farm in Bay, Laguna. The amount of ice cream that they make depends on the amount of fresh milk that they get. From the fresh milk, they extract the cream that rises to the top which is what gives Carmen’s Best that incredibly smooth, silky texture. 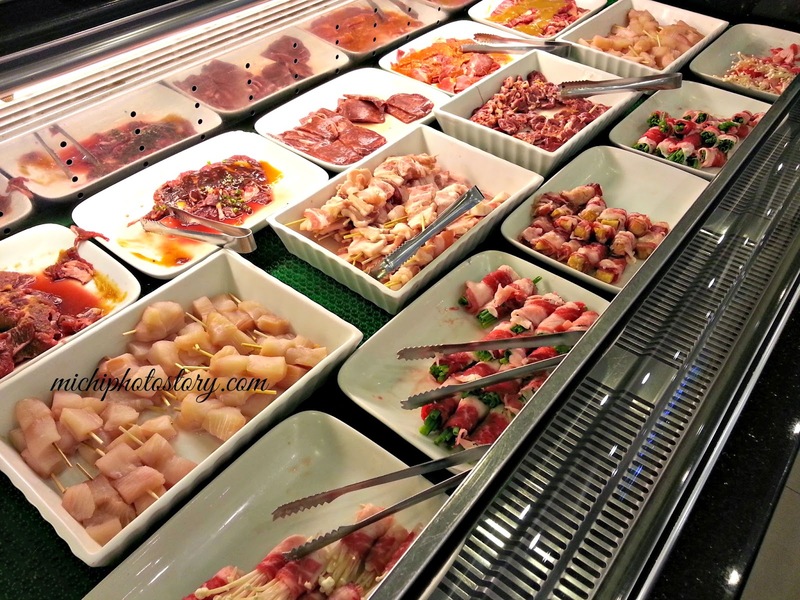 Carmen’s Best sources the rest of their ingredients from all over the world. Horlicks malted milk from England, chocolates from Switzerland, rum from Jamaica, the finest vanilla beans from exotic Madagascar Vanilla, and Turon de Jijona from Spain. Quality means taking no shortcuts, and getting no substitutes for the finest ingredients. Very simply that is the secret of Carmen’s Best. Try it and be the judge if it is worth it. The tub is almost empty when we arrived home. 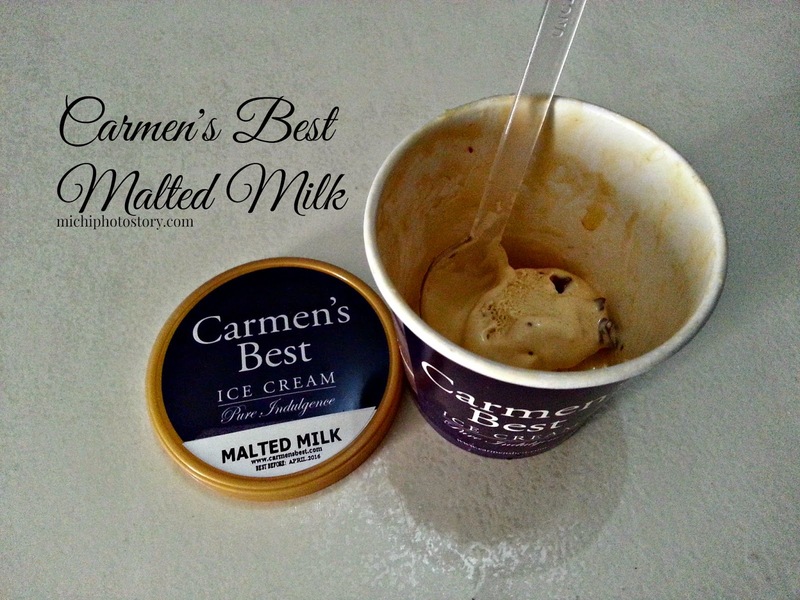 Click here to know where to find Carmen's Best Ice Cream. 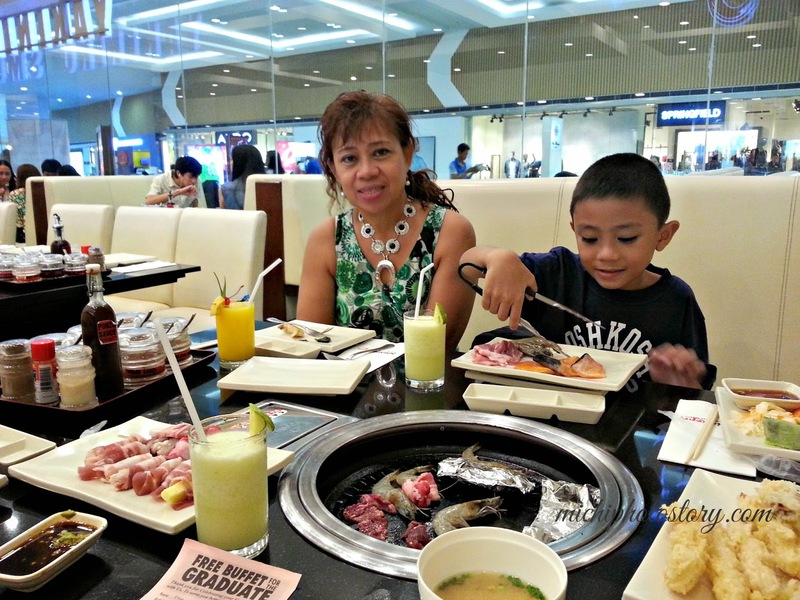 I told my husband about it so we decided to eat at Sambokojin after the graduation of my son. My husband called two days before to reserve. We arrived before 11AM so we have to wait for the restaurant to open. 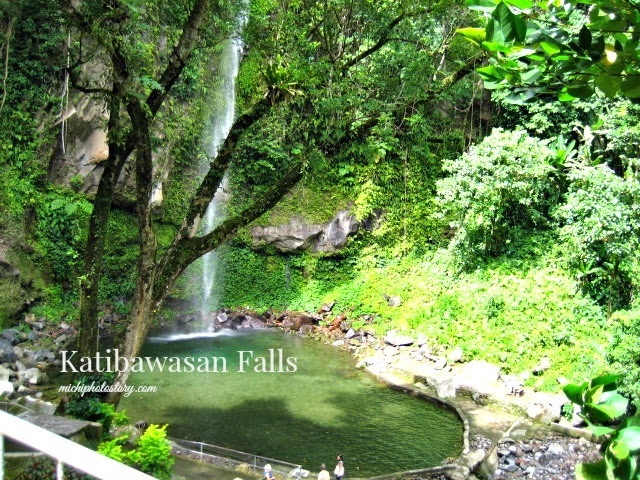 I went to the comfort room first and when I went back, my family was inside the restaurant ordering for their drinks. Bottomless drink is P95. 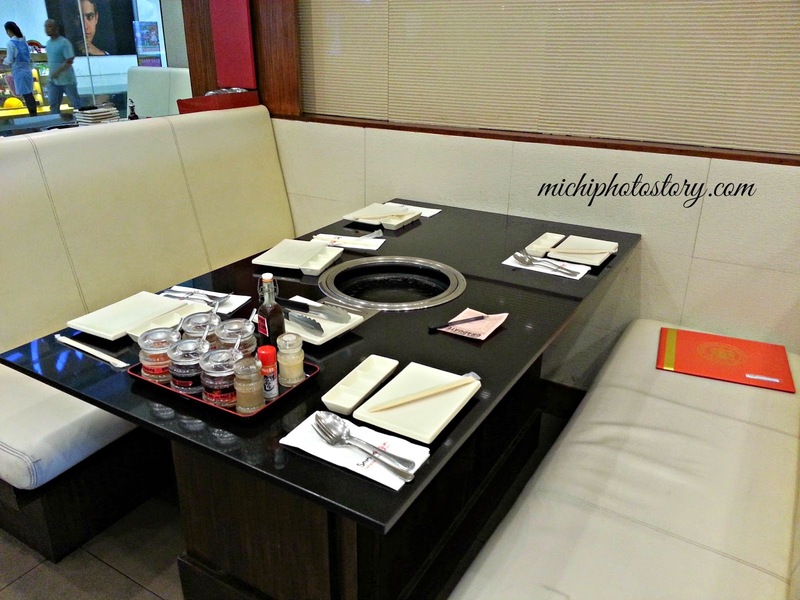 This is our table, I noticed that there is no more fat to grease the pan and plate of Korean appetizers such as kimchi, bean sprouts, spinach, sweet spicy dilis. It was available last time we ate in Sambokojin. 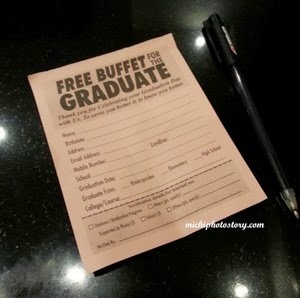 I filled up the “Free Buffet for the graduate” and submitted it to the staff. Then, of course, we started eating. The staff gave us Kamameshi rice but if you want more rice (plain), you can ask for it. My son enjoyed grilling the food more than eating. He still ate his favorite ebi tempura, miso soup and ice cream. We’re so busy eating and the place was crowded so I have limited pictures. 2. The service is good. The staff always asks if you want to refill your drinks. 3. My son received a graduate souvenir from Sambokojin. A certificate with hand print. 1. 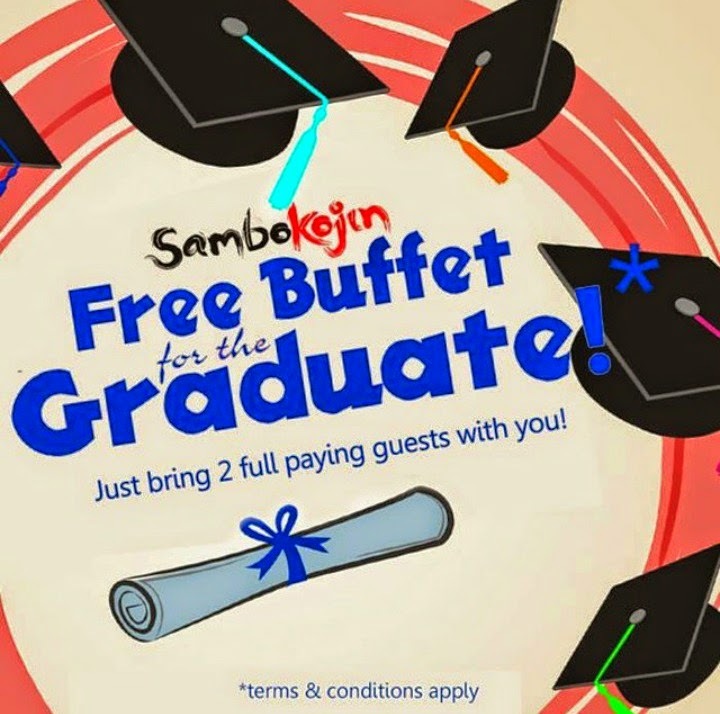 I chose Sambokojin restaurant because of the “free buffet graduate promo” but I did not avail it anymore because it is more expensive. 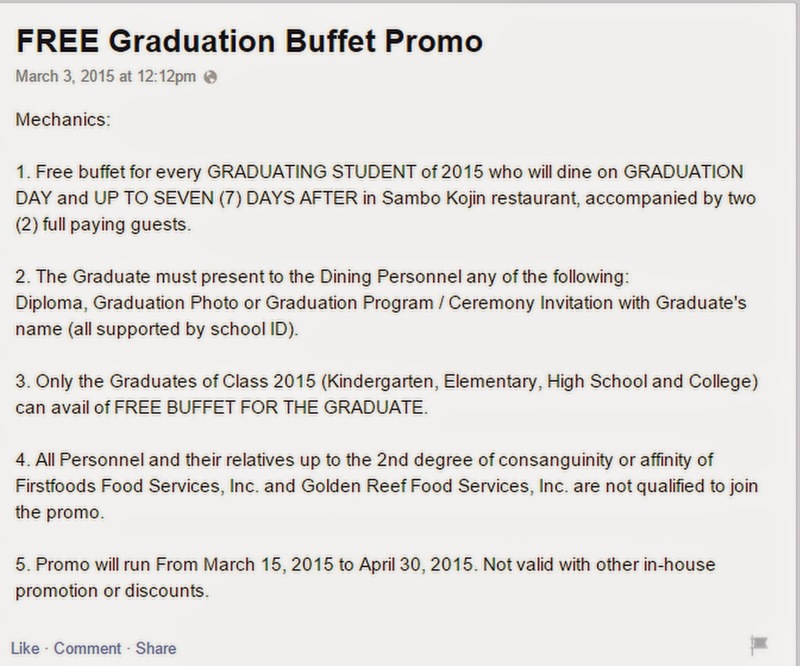 If you read the mechanics “free buffet for the graduate, just bring 2 full paying guest”. The mechanics did not inform that the 2 full paying guest is at P749 each. 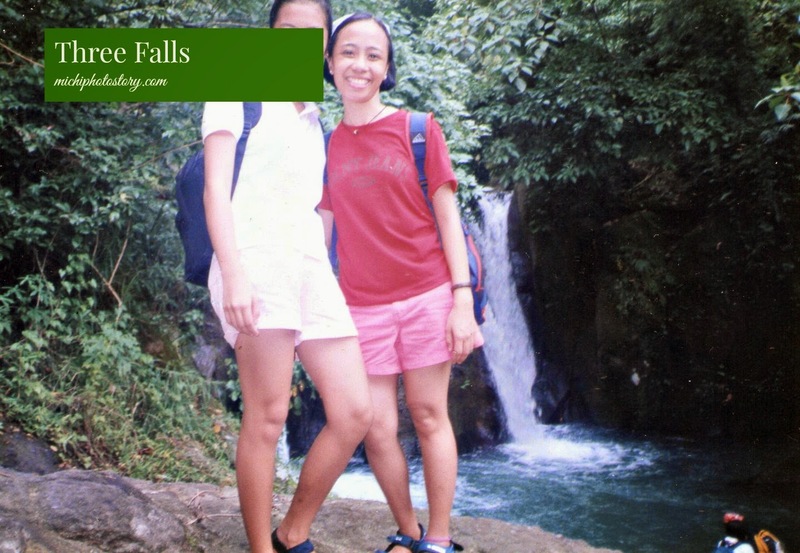 It was Thursday, so I was expecting the rate is at P599. But the P599 is a promo price lang pala. 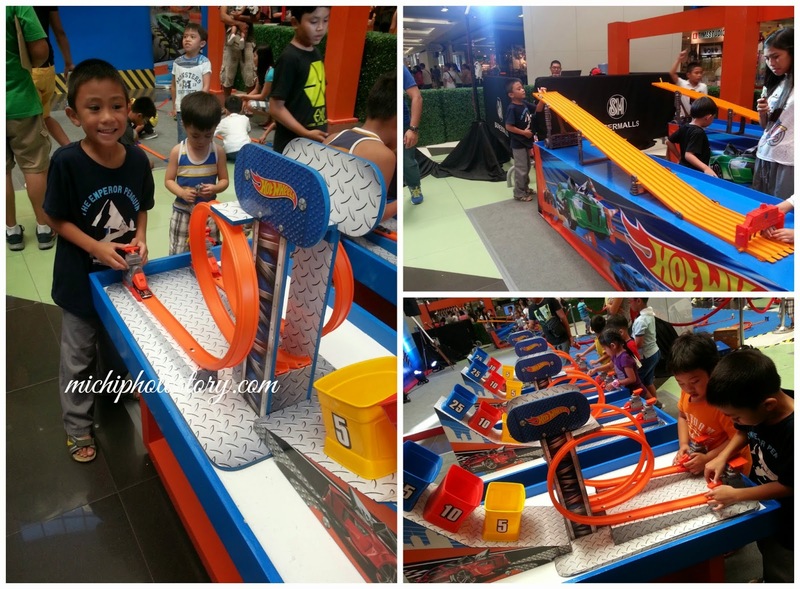 I ended up paying P599 x 4 + P280 (Buffet rate of my son) = P2676 (drinks not included) than P749 x 2 + P599 x 2 = P2696 (graduate promo). The difference is only P20 but if my son was really free of charge, the bill is only P2396. 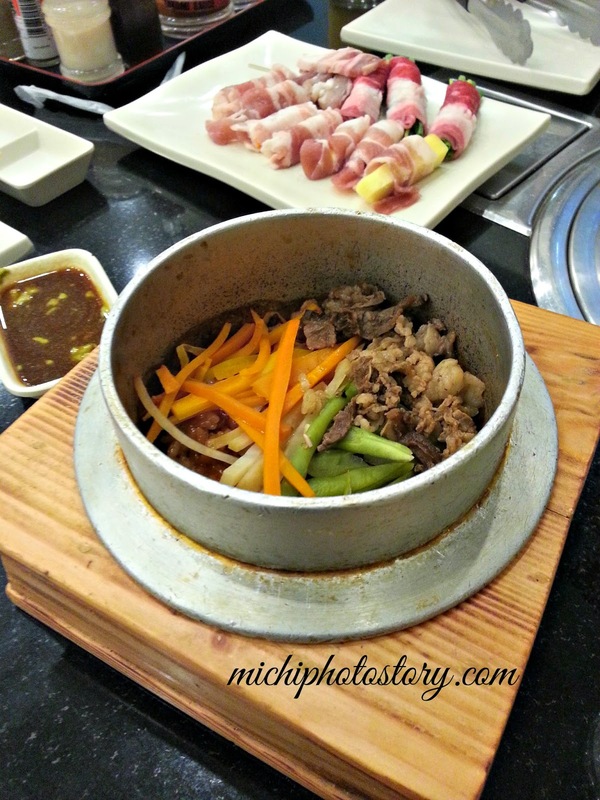 Click here for our first Sambokojin experience. I can hardly believe that this baby just finished Preschool. 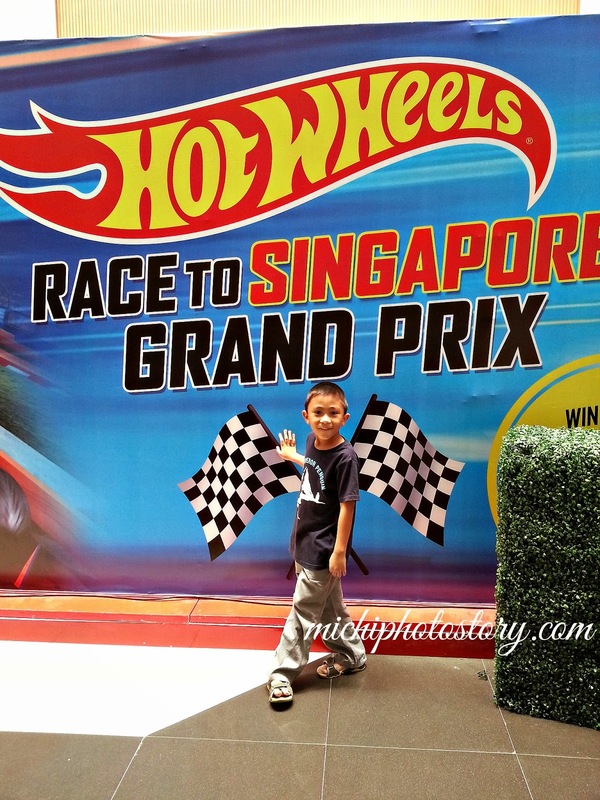 I can still recall the first time that he went to school, he was so excited but for him school = play. But that was ok for us because we just wanted him to enjoy school. We don’t pressure him to get an award or medal just to prove himself. He studied in Montessori School for two years and we decided to enrolled him in traditional school. It was a big decision for us because it would be a different environment and it would be a challenge. In Montessori - homework is every Friday, no quizzes, 3 exams in one school year and no grades. In Traditional school - we have homework everyday, surprise quizzes, monthly and periodical exams every month and we have grades. Kids are expected to write their lessons and assignments. The first grading was an adjustment period for us, during the first week my son complained “What, assigment again?”. Hehehe, he was not used to it. When we received his card, we don’t know if 90.17 average is low or high grade already. 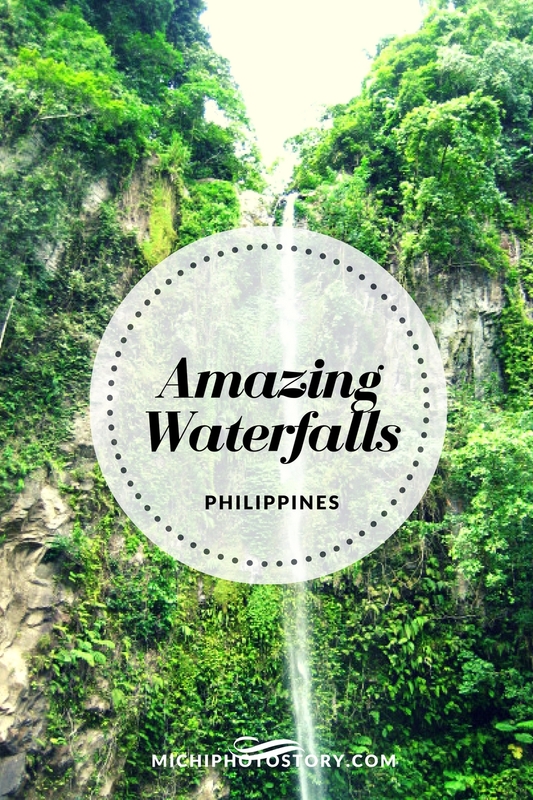 We saw a blue eagle seal stamp and the teacher advised us to check the handbook. According to handbook, eagle seal on the report card is their periodic honors. “Blue Eagle - 89.50 to 90.49% average with grades not lower than 85 in any subject”. So mataas na pala yung grade. I said congrats to my son for getting the blue eagle seal and he said “No mommy, I want gold eagle”. I was shocked but happy at the same time because he wanted to achieve more. I told him if he wanted to get gold eagle seal, he needs to study hard. 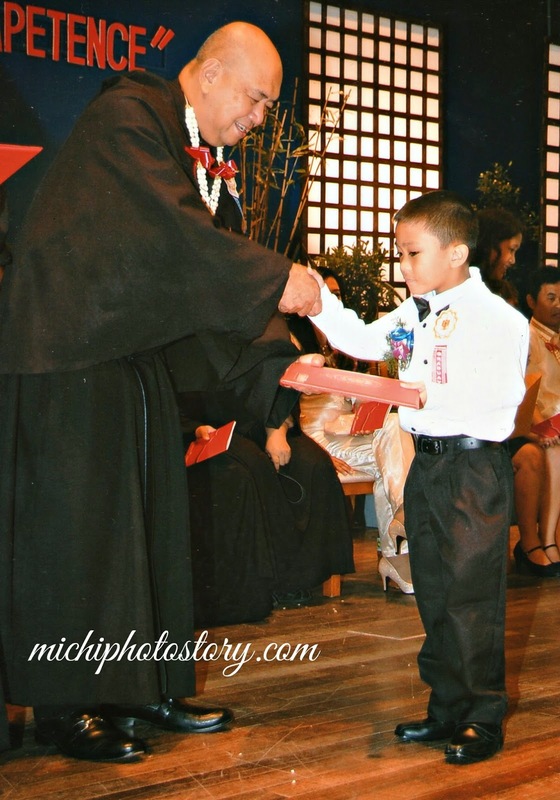 Ang he did it, he got gold eagle seal on his 2nd grading and 3rd grading. But getting eagle seal is not enough to get an award at the end of the school year. I computed his grade from 1st to 3rd grading and if my son will maintain his grade he can get the blue eagle certificate. But my son surprised me because when I saw his notebook, I was surprised that he got the “Red Eagle Certificate” - average of 93.50 to 94.49% and no final rating in any subject lower than 90. I was thinking of his 4th grading grade but I was still happy because my son will graduate with an award. I always say this for the past two years “with or without award we are proud of him”. I’m glad because of his improvement, from someone who doesn’t care about the grades and now he wants to achieve something. Getting the certificate is not easy so it is a big achievement. To my son, believe in yourself when nobody else does. Always remember that we always believe in you and we love you for who you are. We are always at your back to push you to dream and to believe.